Histone proteins have central roles in both chromatin organisation (as structural units of the nucleosome) and gene regulation (as dynamic components that have a direct impact on DNA transcription and replication). Eukaryotic DNA wraps around a histone octamer to form a nucleosome, the first order of compaction of eukaryotic chromatin. The core histone octamer is composed of a central H3-H4 tetramer and two flanking H2A-H2B dimers. Each of the core histone contains a common structural motif, called the histone fold, which facilitates the interactions between the individual core histones. In addition to the core histones, there is a "linker histone" called H1 (or H5 in avian species). The linker histones present in all multicellular eukaryotes are the most divergent group of histones, with numerous cell type- and stage-specific variant. Linker histone H1 is an essential component of chromatin structure. 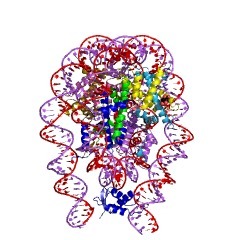 H1 links nucleosomes into higher order structures. 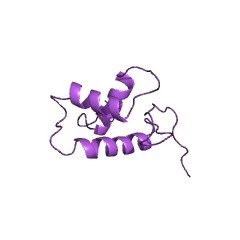 Histone H5 performs the same function as histone H1, and replaces H1 in certain cells. 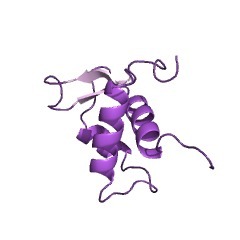 The structure of GH5, the globular domain of the linker histone H5 is known [(PUBMED:8384699), (PUBMED:3463990)]. 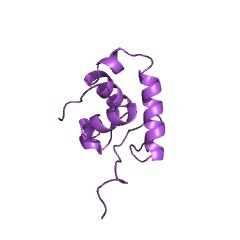 The fold is similar to the DNA-binding domain of the catabolite gene activator protein, CAP, thus providing a possible model for the binding of GH5 to DNA. The linker histones, which do not contain the histone fold motif, are critical to the higher-order compaction of chromatin, because they bind to internucleosomal DNA and facilitate interactions between individual nucleosomes. In addition, H1 variants have been shown to be involved in the regulation of developmental genes. 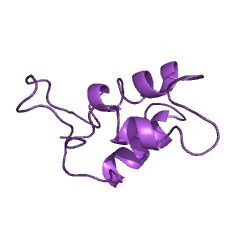 A common feature of this protein family is a tripartite structure in which a globular (H15) domain of about 80 amino acids is flanked by two less structured N- and C-terminal tails. The H15 domain is also characterised by high sequence homology among the family of linker histones. The highly conserved H15 domain is essential for the binding of H1 or H5 to the nucleosome. 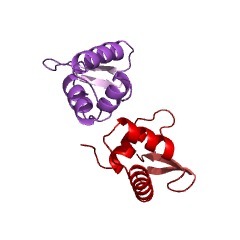 It consists of a three helix bundle (I-III), with a beta-hairpin at the C terminus. 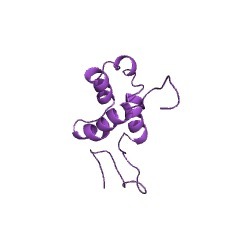 There is also a short three-residue stretch between helices I and II that is in the beta-strand conformation. Together with the C-terminal beta-hairpin, this strand forms the third strand of an antiparallel beta-sheet [(PUBMED:16345076), (PUBMED:8384699), (PUBMED:8218199), (PUBMED:14654695)]. 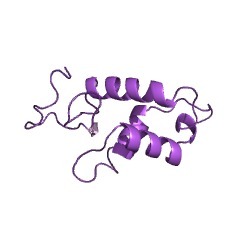 - Eukaryotic histone H1. The histones H1 constitute a family with many variants, differing in their affinity for chromatin. Several variants are simultaneously present in a single cell. For example, the nucleated erythrocytes of birds contain both H1 and H5, the latter being an extreme variant of H1. - Eukaryotic MHYST family of histone acetyltransferase. Histone acetyltransferases transfer an acetyl group from acetyl-CoA to the epsylon- amino group of lysine within the basic NH2-termini of histones, which bind the acidic phosphates of DNA [(PUBMED:15313893)]. 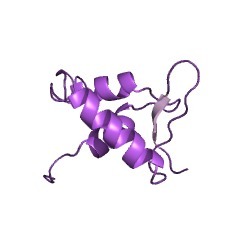 This entry represents the H15 domain. There are 9774 H15 domains in 8995 proteins in SMART's nrdb database. Taxonomic distribution of proteins containing H15 domain. This tree includes only several representative species. The complete taxonomic breakdown of all proteins with H15 domain is also avaliable. Click on the protein counts, or double click on taxonomic names to display all proteins containing H15 domain in the selected taxonomic class.